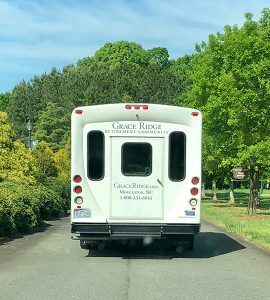 Grace Ridge Hits the Road for Tasty Treats, Tea & Tai Chi - Grace Ridge Retirement Community - Morganton, N.C.
What’s the next best thing to exploring Grace Ridge Retirement Community in person? Having the Grace Ridge team come to you! Outreach and Sales Director Jeff Bright, Wellness Coordinator Kelli Harris Huggins, Executive Chef Jon Lindsay Kirby and Outreach and Sales Assistant Lisa Miller loaded up the Grace Ridge van, aka Beauty, and headed to Belmont recently for a Tasty Treats, Tea & Tai Chi community outreach event at Daniel Stowe Botanical Garden. Bright also outlined the affordable care plan options – LifeCare, Modified Care and Fee-for-Service – and described the variety of residences available, from spacious villas to cozy apartments. He noted that homes can be tailored for individual styles, and residents who require additional care can seamlessly transition to assisted living, skilled nursing or memory care. The congenial feeling continued when Huggins talked, while giving a Tai Chi demonstration, about Grace Ridge’s Good Moods programs that foster well-being of the mind, body and mood. 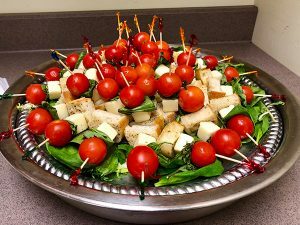 Guests also had a chance to sample kombucha infused with lemongrass grown at Executive Chef Kirby’s own farm, as well as a beautiful assortment of caprese skewers and fresh fruit. 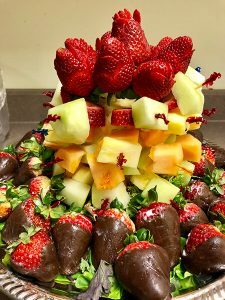 The chef’s chocolate dipped strawberries were such a hit that a couple of guests took some home with them. 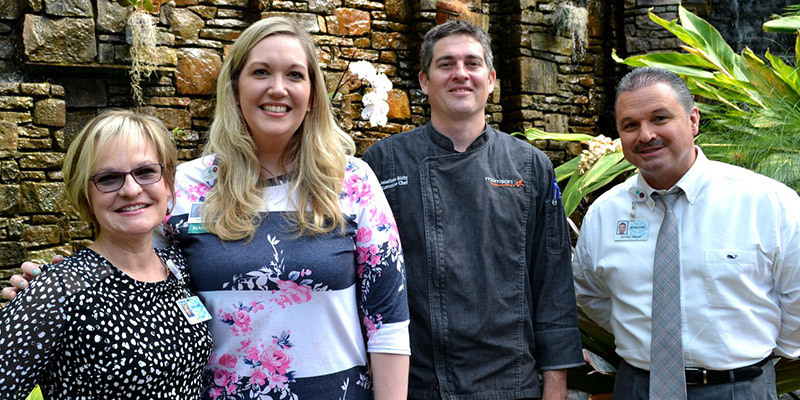 Chef Kirby said the culinary team strives to go above and beyond in the way they prepare food, getting to know residents’ preferences and dislikes, using local and regional ingredients whenever possible and customizing menu items. He told the story of a Grace Ridge resident who used to live in a retirement community in another state. She was allergic to garlic and had to eat out for nearly every meal because the large community wasn’t able to accommodate special dietary requests. We’ll have additional Tasty Treats, Tea and Tai Chi events this year, so be sure to keep an eye out on our Upcoming Events Facebook page or Good Times at Grace Ridge webpage for details. Want the Grace Ridge team to come to YOUR town or city? Contact us!